Karel Roden was born on 18th May 1962 in Ceske Budejovice, Czechoslovakia. Roden is a renowned Czech actor but has also been recognized across the whole of Europe and in the USA, certainly for his role of Yuri Gretkov in the movie “Bourne Supremacy” (2004). He has also starred in many other popular movies such as “Hellboy” (2004), “Orphan” (2009), and “A Lonely Place To Die” (2011). Karel has also tried himself as a voice actor as he has lent his voice to Mikhail Faustin, a character from the video game “Grand Theft Auto IV.” He has been an active member of the entertainment industry since 1984. Have you ever wondered how rich Karel Roden is? According to sources, it has been estimated that Karel Roden`s net worth is $5 million, an amount he owes mostly to his acting talent, which is believed to be inherited from his father who was also an actor. Since Karel’s father and grandfather were also actors it was pretty predictable that he would choose the same profession, and it was even less surprising that Karel’s younger brother Marian also showed an interest in acting. Even though acting was his main goal, Roden had attended the Comprehensive Art Secondary School for Ceramics, but after graduation he decided to enroll at the prestigious Academy of Performing Arts in Prague. Karel’s professional film career began in 1984, when he played the role of Honza, a medical student in a comic trilogy about the life of young university students. He appeared in the second part named “How The Poets Are Losing Their Illusions” and also in the final chapter called “How Poets Are Enjoying Their Lives”. His other comic roles were as the Captain Tuma in the “What Kind of Soldier”, a comedy film about a soldier in the socialist Czech military, the role of Dragan in the action-thriller “Dead Fish” alongside Gary Oldman and Terence Stamp. Roden also plays the violent husband who was assigned to kill a weeping widow in the comic crime-thriller called “Shut Up and Shoot Me”. These all benefited his net worth quite considerably. Roden went to London during the 1990’s, and improved his English which opened the door to the international acting scene. 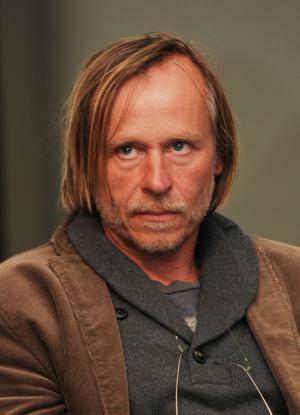 Since he came to the Czech Republic with a specific English accent, he has become known mostly for his eccentric roles which started in 2001 when he accepted the role in the American psychological thriller entitled “15 Minutes” (2001), in which he played the role of Emil Slovak, alongside Oleg Taktarov, creating a criminal duo against NYPD cop Flemming, played by Robert De Niro. Again, his net worth rose. After this, Roden went for the similar role of lawyer Carter Kounen who worked for a vampire tribe, in “Blade II“. With the role of a Nazi in “Bulletproof Monk”, it became clear that Roden was perfect for character actor roles, thanks to his rough accent and unique features. All of these roles increased Karel`s net worth to a large degree. Apart from his film career, Karel has also appeared in many TV productions, including “The Philanthropist“, “The Scarlet Pimpernel”, “Crossing Lines”, and “The Wrong Mans”, which also contributed to his net worth. His latest ventures in the entertainment industry include appearances in films “Masaryk” and “Kryzachek”, which are scheduled for a release in 2016, and will certainly increase further his net worth. Overall, Roden`s career is rather successful; he has appeared in over 100 film and TV titles, for which he has also received numerous awards, including the Czech Lion award for the best actor for his role in Guard No. 47. in 1998. He also received Alfréd Radok Award for performing Bruno in a play called Le Cocu Magnifique. Furthermore, Roden is a member of the prestigious Prague National Theatre. Regarding his personal life, Roden is in a long-term relationship with a Prague dentist Jana Krausova. Together they have a daughter named Sophie.